Imps, ale, and intrigue… This dark fantasy tale follows the brash Thystle Moran, sword for hire. Only one job has ever bothered her, one that promised to be easy money, but ended in the death of her friend. Now, an imp with questionable motives says her friend's death was no accident. Thystle seeks retribution as her world spirals out of control. She faces off against her dark past, a betrayal, feelings for a young woman, and the interests of a shadowy group known only as the Immortals. Can Thystle complete her quest for vengeance before someone ends her first? 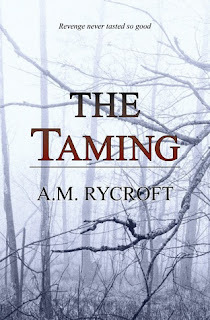 A.M. Rycroft is a dark fantasy and horror author. She lives in Pittsburgh, PA, and holds a B.A. in English from the University of Pittsburgh. She has been writing since a young age, and though she attended art school for a time, she found her way back to writing again after art school. 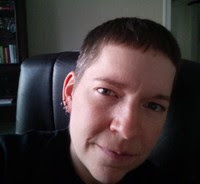 Her first dark fantasy/horror novel Into the Darkness was written while she attended the University of Pittsburgh. Her writing has been compared to the works of David Eddings and Stephen King. When she is not writing, Rycroft is a writing coach and a periodic cartoonist. 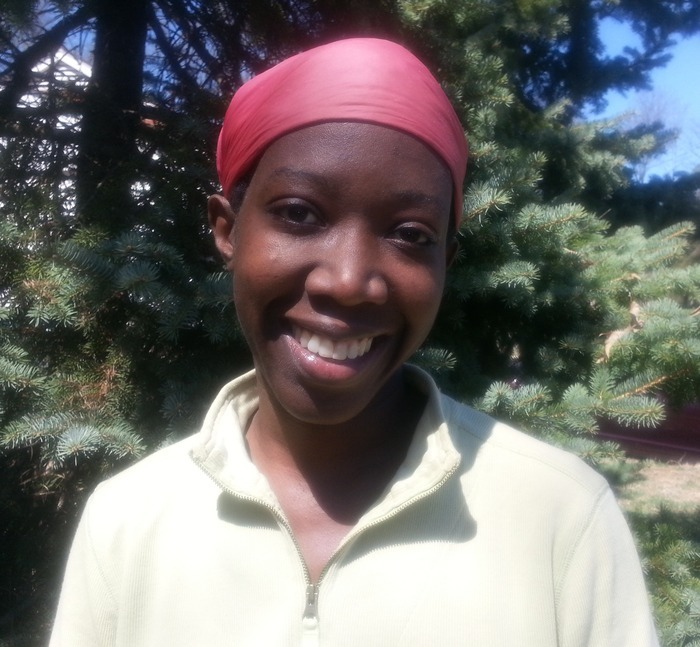 She enjoys keeping fit with weight training and walks through her local parks. During the summer, A.M. is frequently seen riding the roller coasters at the Kennywood amusement park. Subscribe to A.M.'s newsletter at http://eepurl.com/bW_Zer. Tell us a little bit about your main characters. 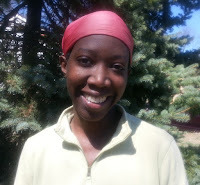 Thystle Moran is the main character in The Taming. She is a sword for hire and a vampyre, but not the Twilight or Interview with the Vampire type. The fact that she is a vampyre is more tangential to her character rather than a full definition of who she is as a person. Thystle doesn't like to over-analyze her life. Her past has its dark points, which she'd rather forget about and face each day as new. The events of The Taming kind of shake that philosophy, however. Who designs the covers for your books and what is that process like for you as an author? I have designed the covers for my last two books myself. I learned a lot about graphic design while I attended art school, prior to dropping out and moving in the direction of writing instead. It's a bit of a long process for me. I look for an inspiration for the cover and then try to bring that idea to life, while also tying one cover into the next in some way, since the two books I've published so far exist within the same series. I can't say whether I will continue to design all covers myself, but most people seem to like my work, so I think being able to do them myself has worked out alright. Describe your ideal writing spot. My home office. It's comfortable and quiet for the most part. Everything is arranged how I like it, and the feng shui of my writing space has to be just right. I've never been one who could sit down in a coffee shop or other public place and be able to write. I'm too prone to people-watching, so having other people around is too much of a distraction for me. And I'm usually writing very late at night, so most coffee shops are closed then. I feel like I trot this story out to much, and I know someday soon, Joe Hill is going to come find me and tell me to stop telling people this story already, but his advice was the best ever given to me. I met him during a book signing at a small event in Massachusetts last year, and it wasn't long after the release of my first book. I was feeling really down, because the book wasn't receiving as much reader attention as I'd hoped. I asked him what he recommended for an author in my position. He thought about it a minute and then told me to just keep writing, because it's what I love to do, and eventually, the recognition will come. Writing is a long game, he said, and finding success with it takes patience. It was great advice and made me feel a lot better. Now, almost a year later and a second book on the shelves, and I'm actually starting to see a change in the recognition I'm getting. So, Joe Hill was totally right. A police officer or a fireman or a fighter pilot or maybe a mobster. Of course, I didn't really know what that last one meant. Which do you prefer: hard/paperbacks or ebooks? I know it's really disappointing to all those indie authors out there who only put ebooks out as a way to save money, but I don't buy ebooks. I will read a short piece in ebook form for a friend, if they ask for help with something, but that's as far as ebooks and I go. I just can't get into a book that isn't on paper in my hands. I feel like I just can't focus on the words right when I'm looking at an ebook. 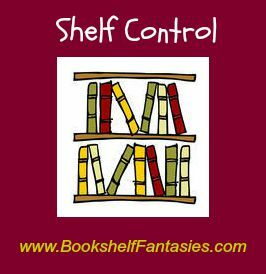 But I also understand the importance of ebooks for some people as a way to transport multiple books at once without having a stack of paper books, so I offer my books in ebook format too. I'm just not a fan of reading that way. If you could have any supernatural power, what would you choose and why? It took me a long time to figure this one out. I don't like flying, so the ability to fly was out. I feel like the ability to walk through walls is an invitation for trouble, like I'd get stuck someplace, so that's out too. I finally settled on super speed. I was always the slowest runner in my class as a kid, and I continue to be the world's slowest jogger when I'm at the track. I've come to terms with that in adulthood, but if I could be the fastest, even for a short period of time, I think that would be great. I'm juggling a ton of writing projects right now, so I don't have a lot of time for reading, however, I recently started reading the Sandman series by Neil Gaiman. I got a couple volumes of the graphic novel as gifts, so I'm working my way through those. Summer, 1959. In a small Georgia town, dairy worker Abednego Harris, 19, not only stands out for his skillful handling of bulls, but because of his color. When Lola James, 17, arrives to do day work for a nearby family, Abednego is smitten. As the young couple falls in love, racial tensions heat up, threatening their world. A violent attack tears them apart and spins their lives in different directions. This is their story, and the story of four others whose lives are forever changed by violence. One of them will return to Taylor's Crossing seeking answers. A Chattanooga native, Janie spent much of her childhood in north Georgia at her family's farm riding horses. After high school, she left for California where she studied journalism at the University of California, Berkeley (B.S.) and at the University of Southern California, M.A. She has written for newspapers and magazines, and for television. She also penned screenplays before turning to writing short stories and her two novels, "Moon Over Taylor's Ridge" and "Return to Taylor's Crossing" which has won several awards. 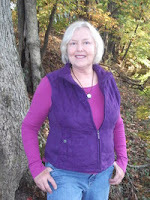 Her short fiction has appeared in anthologies and literary magazines, while here non-fiction stories have been published in the "Chicken Soul for the Soul" series and other anthologies. She currently lives in North Georgia near Taylor's Ridge and her family farm. She enjoys spending time with her family, her American bulldog and three horses. The story is told by six different narrators, but the two main characters are Abednego Harris, 19, and Lola James, 17, both African American. It’s 1959 in a small North Georgia town, and Abednego stands out not only for his skillful handling of bulls at the dairy farm where he works, but also for his color. He is the only African American working in Taylor’s Crossing until Lola arrives to work for a prominent family, the Buttrills. Lovely and smart, Lola has big dreams for herself after she graduates high school—until the persistent Abednego charms her with his attentions and sense of humor. All of this is noticed by Lola’s boss, Sewell Buttrill, a racist and community leader, who grows uneasy with the shapely Lola working in his home. Other characters who play a role in this story are Abednego’s feisty younger sister, Marvelous; Iris, Marvelous’ best friend and a horse lover; and Adelaide, the always pregnant wife of Sewell Buttrill. The story unfolds over the course of 50 years and shows how hate crimes affect the main characters over a lifetime. For Return to Taylor’s Crossing, I collaborated with a talented friend, writer Amber Lanier Nagle. I provided the cover shot of Taylor’s Ridge, a real and historic place in North Georgia. One morning I was on the way to a book signing for my first novel when I was about to drive over the ridge and thought the view looked mysterious with so many shades of blue. I pulled over and shot the scene with my cell phone. I knew it would be perfect for my second novel, which is also a bit of a mystery. I told Amber what I was aiming for, and she sent over a few samples. She was easy to work with, and immediately got the concept of what was needed. She is now working on the cover design for my short story collection, Lovers, Mothers, Sons, and Other Strangers. Once we come up with a cover design, I feel the book is “real,” and I am inspired to get through the final edits. A room with a view and some tools: an empty, lined notebook and black pen, a thesaurus and a dictionary, a fast computer with internet access, and a frosty iced tea, unsweet. Background music, perhaps some French café tunes, would make this the ideal environment to take me to other times and places. What is the best advice you’ve been given? Mama always told me, “Education is something no one can take away from you.” Taking her advice, I studied journalism at the University of California, Berkeley, for my B.A., and journalism at the University of Southern California, for my M.A. The research skills I learned have served me well in writing my novels, both of which have historical elements. As always, Mama was right! Horses were my passion. For many years, I showed my horses and I planned to become a horse trainer. When I was about 13, I read Catcher in the Rye and decided I wanted to write. Paperbacks. I love e-books, too, but I can’t take them in the bathtub or swimming pool. I would choose time travel. 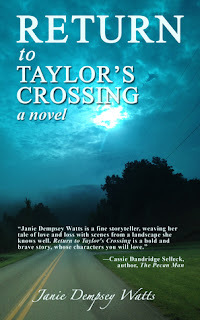 I would love to be able to visit the area where the fictional town I use in both my novels, Taylor’s Crossing, is located. First, I’d travel to the early 1800s when the area was part of the Cherokee Nation. I’d watch my great-great-great grandmother visiting with the Cherokee around a cauldron of stew bubbling over a fire. After that, I’d zip forward to 1959 in the same area. I’d go visit the old general store that was the heart of the community and sit in a rocking chair while I drank a cold orange Nehi. I’d visit with the old timers and find out what they liked to talk about. And after that, I’d time travel to the 1940s where I have another story brewing. Icy Sparks by Gwyn Hyman Rubio. The story is about a girl with Tourette’s Syndrome. Scented is a stirring new tale for those drawn to stories with mysterious supernatural forces, unexpected powers and budding young love. Sixteen-year-old Bryan Harper has felt alone since the day eight years ago that a sickening, unfamiliar scent wafted from his mother. When he realized too late the new odor was a prelude announcing death, he knew his new sense of smell is a gift, not a curse. 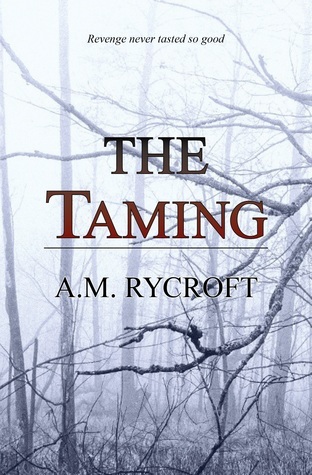 At a young age Lauraline Reese escaped death, yet its specter still haunts her. Unable to let go of the feeling that death has not forgotten her, Lauraline finds it hard to find peace with the storm that almost took her life. When Lauraline walks into his life, Bryan knows instantly that she is different from the others. He doesn’t know why she appeared, but there is one thing he is sure of: his life is about to change. He just doesn’t know how. As the two grow close, Lauraline helps Bryan discover a vital message, and Bryan finds himself in a race against death to set things right. Can Bryan live a normal life despite his talent in scenting death? Or will he be forever marred by the curse of knowing when someone will die next? 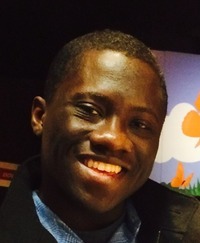 R.J. Crayton grew up in Illinois and now lives in the Maryland suburbs of Washington, DC. She is the author of the Life First series of novels, which includes Life First and Second Life. Prior to writing fiction, Crayton was a journalist, writing for newspapers, including the Wichita Eagle and Kansas City Star. Crayton also worked for several trade publications, including Solid Waste Report, Education Technology News, and Campus Crime. Her first novels were published in 2013. The third novel in the Life First series, and a short story collection (Four Mothers), will be released in 2014. Crayton is a monthly contributor to the Indies Unlimited blog (http://www.indiesunlimited.com/author/rj-crayton/) and a regular contributor to the Institute for Ethics and Emerging Technologies blog (http://ieet.org/index.php/IEET/bio/crayton/). When she's not writing, Crayton spends her time being a ninja mom (stealthy and ultra cool, like moms should be) to her son and daughter. You can find out more about her at http://rjcrayton.com. 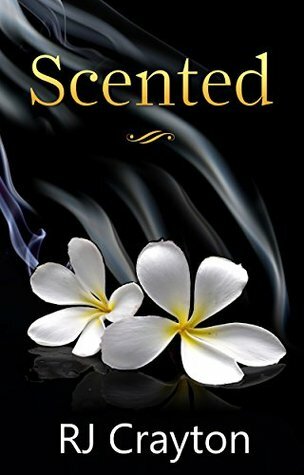 I thought the book I’d focus on today is Scented, which was published in July. At its essence, it’s a love story. But it’s got a lot of mysterious supernatural elements that keep us wondering about these characters and how they’re going to interact. The two main characters are Bryan, who can tell, through smell, that a person will die within three days. It’s been a power that’s really felt like a curse since he first realized it. Then he meets Lauraline, a girl who fears death is after her and smells like the afterlife, like “ashes to ashes and dust to dust.” As they connect with each other, they learn a lot about each other, themselves and what it really means to live. I don’t think we’ve seen many characters with such morose talents, but I think it makes Bryan a really interesting character to get to know, because he just wants to be normal, like everyone else. It’s a powerful story and I hope readers enjoy it. I’ve had various different cover designers, and they’ve all been great. My favorite book covers are for my virus series, which includes Concealed, Exposed and Contained. They’re done by Jenny and Seedlings Design. Jenny is awesome and it was great to work with her and get covers made just for me. She’s really good with translating your raw ideas, coupled with some preference for textures and cover feels, into a complete design. So, I adored that process. Jenny even blogged about the cover designs here [http://supernaturalsnark.blogspot.com/2016/07/friday-flourish-concealed-exposed.html]. I’ve also worked with Christine Savoie, a great designer who created the current covers for my Life First series. The series had been out a while and I’d pieced together covers from different pre-made sites/people, and while no cover was bad, they didn’t go together as a series. So Christine did a great job giving me this lovely tree that was growing body parts as a symbol of this nation that would take your organs and give them to other people. She used it for all three books in the series and gave such a wonderful uniform look, which I love. Life First [http://rjcrayton.com/books/life-first/], the first book in that series, is free as an ebook at all retailers. For my Scented cover, I used a cover from James at GoOnWrite. I’m not that picky. I just want a place to sit that’s comfortable. If it’s noisy with talking or television, I don’t care. I could sit and write at a baseball game or a mall or a coffee shop. I can tune out ambient noise and just focus on the writing. However, I can’t write with music. Either the music is stuff I like and I start singing along, so I’m not focused on writing, or it’s music I hate and I can’t concentrate because the bad music is bothering me. As long as I’m away from music, I’m good. About writing -- to write a lot. I think there’s nothing better to get you going than to sit down and do it. And do it a lot. There was this study I read about where they split a pottery class into two groups. One group was graded on the quality of their work and the other group on the quantity of their work. Hands down the quantity group did better work. They weren’t afraid to make mistakes, and these mistakes turned out to be really great learning experiences. Through their mistakes, they figured out which techniques worked best and tried new things. This produced better quality than the group that tried to make something of “high quality.” The quality group was afraid to fail and made fewer attempts because they were seeking to mold something perfect. For me, quantity is how you have to write. You have to do it often, realizing you will make mistakes, but better than that, you will learn from them. I believe the books I’ve written today are tons better than the first books I’ve written. In terms of general advice, I think the best I’ve gotten is life is what you make of it. You’ve got to have a good attitude and go in there expecting for the best (though it’s not a bad idea to have a contingency plan, too). I always thought writing would factor into my life plan. I briefly dabbled in engineering, which makes sense for people who like to create things, but I ended up earning a degree in journalism and worked in that field for a while. It depends on where I’m reading. I tend to read ebooks on my phone because it’s with me all the time. However, if I need my phone for its intended purpose (phone calls), I prefer a paperback book so my battery doesn’t die on me. Again, this isn’t an area where I’m super picky. I want the content, so the delivery method is less worrisome. If I’ve been writing an excessive amount myself, I can get eye strain issues. In those instances, I’d prefer a paper book. I think I’d like something of the mental nature, perhaps being able to move things with my mind (myself included, so I could at least levitate, perhaps fly if I were super awesome). The Amazons: Lives and Legends of Warrior Women Across the Ancient World by Adrienne Mayor. I've started writing a book where I want some of the Amazon legends to play into what I’m writing, so I thought I’d read this nonfiction book about the Amazons. It’s actually a really fascinating book which traces the Amazon stories to the nomads of a land known to the Ancient Greeks as Scythia. A lot of the legends of the Amazon warrior women are archaeologically traced to these women and it’s super interesting. I’d recommend the book to anyone who wants to read about empowered women living an empowered lifestyle. 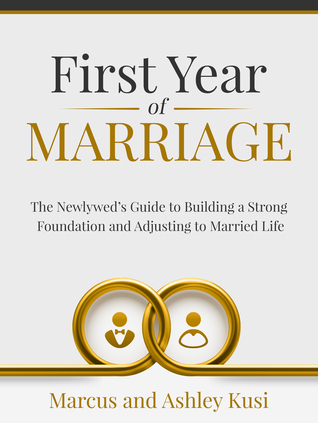 First Year of Marriage: The Newlyweds Guide to Building a Strong Foundation and Adjusting to Married Life. Do you want to have the best marriage you possibly can? 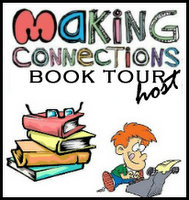 Is your first year filled with conflicts, disappointments, misunderstandings, and frustrations? Are you filled with anxiety about failing in your marriage? Do you feel overwhelmed and completely unprepared for marriage? It is easy to feel like you are the only newlywed experiencing struggles adjusting to married life. We know how you feel because we have been there too. We have experienced the same struggles newlyweds face and listened to great married couples share their first year marriage struggles. In this book, we share our struggles and how we overcame adversity to build the great marriage we have today. If you are a newlywed, just got engaged, looking to remarry or improve your marriage, this book is for you. It's an indispensable guide for building a strong foundation and adjusting to married life. Filled with ideas you can apply to your marriage immediately. This book will help you build a resilient foundation for your marriage. It will provide you with the tools you need to help nourish and grow your marriage to its fullest potential no matter your religious affiliation or sexual orientation. 1. How to transform your mindset from I into We. 2. How to build a safe environment for your marriage. So you can express your feelings and thoughts without feeling judged. 3. Our simple and proven communication strategies that have helped many couples to communicate better. 4. Get a better idea of what is at the root of the issues troubling your marriage, and how to fix it. 5. The glue that holds your marriage together. 6. What we did after one of us changed in faith. 7. How to connect and grow together as a couple. 8. Why it is important to create a vision for your marriage, and the four steps we used to create a vision our marriage. 9. How to be independent and interdependent without losing your identity. 10. Why your first year of marriage is critical to the success of your marriage. Yes, you can avoid the common marriage problems newlyweds face every day. Marriage does not have to be hard. Practice everything we teach in this newlyweds guide with your spouse, and you will both be heading towards a fulfilling marriage. You can have the great marriage you both desire. We believe this book will change your marriage. Why? Because the lessons come from our own first-hand experience and gleaned knowledge. If you like reading books that are practical and straight to the point. Books you can instantly apply what you learn to your life, then you will enjoy reading this guide for newlyweds. You can even read it with your spouse and discuss the questions we included together. Imagine how amazing your marriage could be if you take the time to build a strong foundation? I'm a dedicated husband, passionate father, and love spending time with my family. Together with my amazing wife, I help newlyweds adjust to married life and inspire married couples to become better husbands and wives. Tell us a little bit about your book. 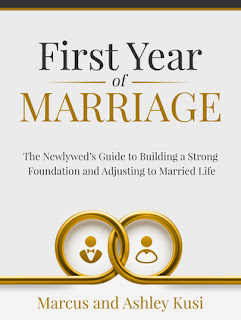 This book is about helping newlyweds build a strong foundation for their marriage, filled with our own personal and relatable experiences from our marriage. In a quiet place, usually in our office. Sometimes my wife goes to a coffee shop. Always seek progress, not perfection. A professional soccer player and my wife has always wanted to be a mother and business owner. The ability to know the future. Share book reviews and ratings with Shut Up & Read, and even join a book club on Goodreads. 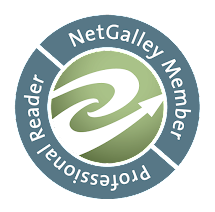 Share book reviews and ratings with Sheri, and even join a book club on Goodreads.